Behavior Analysis is an evidence based treatment for autism and related disabilities. Our team can bring this treatment to you and your family in a way that is accessible, friendly, and very positive. Mountainside ABA was created to bring practical, positive behavior analysis treatment to individuals and families. Our emphasis is on quality and family inclusion. Liz is a BCBA who specializes in teaching communication, independent living skills, and decreasing problem behavior. Liz loves to share the strategies that she's learned with families and those seeking a career in ABA. She believes every individual that she works with has a variety of very effective skills. Liz worked in an autism diagnostic clinic, which led her to pursue a career in autism treatment. She earned a masters degree from James Madison University in Psychology with a specialty of Applied Behavior Analysis. She then earned a masters degree from George Mason University in Special Education for with a certificate in Assistive Technology. Liz has worked in inter-professional clinics that provided ABA, speech therapy, and occupational therapy. She has worked in public special education classrooms. She served as a program director and special education teacher at a non-profit special education school, primarily serving students with autism and intensive problem behaviors. Currently, Liz is the founder and director of Mountainside ABA providing in-home and center-based ABA services. Additionally, Liz is a WV Birth to Three provider. 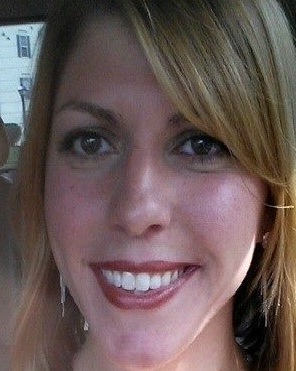 Emily Smiechowski has worked in the field of special education for 5 years. She is a graduate of Point Park University in Pittsburgh, with a degree in Elementary Education and Special Education. After graduation, she relocated to the Shenandoah Valley in Virginia in search a job as a special education teacher. She taught at a middle school for two years and also became involved in the Child Study process as Child Study Chair. While working as a special education teacher, she began to see a student exhibit significant maladaptive behaviors. She began to seek out help from fellow co-workers and found out about ABA. She had found her calling and began studying ABA at Shenandoah University. She received a Master of Science in Applied Behavioral Analysis and sat for her Board Certified Behavioral Analysis exam in June of 2016 and also became a Licensed Behavior Analyst in Virginia. She worked at a private day school in Northern Virginia for two years, where she served as a program director, BCBA, and licensed special education teacher for students with severe problem behaviors. In July of 2017 she became a Licensed Behavior Specialist in Pennsylvania and began to make the move back to Pittsburgh. Emily enjoys writing behavior interventions plans and showing families how to decrease problem behaviors, while increasing functional behaviors. She has had experience with many different types of maladaptive behaviors as well as working on functional goals and increasing communication. In her spare time, she enjoys spending time with her husband, Steve, and their dog, Rex. Valerie received her Bachelors degree in Psychology with a minor in Family Studies from James Madison University, and then went on to earn a Masters degree in Special Education from Old Dominion University. As a special education teacher, she taught children (K-5) with autism and other developmental disabilities for ten years in Front Royal, Virginia. She became a Board-Certified Behavior Analyst in 2014 through Florida Institute of Technology, and is licensed under the Virginia Board of Medicine. She is experienced in helping children increase their adaptive, academic, communication, social, and executive functioning skills, as well as decreasing challenging, inappropriate and severe behaviors. As a special education teacher she wrote Individual Education Plans (IEP) and Behavior Intervention Plans (BIP) for her students, and worked closely with speech and occupational therapists and the students parents/guardians. Valerie lives in the Shenandoah Valley with her husband Harry and son Chandler. Valerie and her husband adopted their son at birth, and later he was diagnosed with ADHD and a mild form of autism. The experience of parenting a child and teaching children with disabilities helps Valerie understand how to help clients in the home and in school, while understanding what parents go through. Valerie is the BCBA/Clinical Supervisor for the Winchester and surrounding areas. Please feel free to contact Valerie if you have any questions or concerns. My name is Brandie Thurston. My interest in working with the special needs community started when I was in high school. I participated in the partners club, a club where peers get together with the students in special education classes and do extracurricular activities together (such as attend football games, put on plays, go bowling, etc.). During high school, I also got my license as a Board Certified Cosmetologist. Upon graduating, I started working at a salon and soon after, I began interning at a private school for children with special needs. Because of my experience in both the special needs field and hair care, I do provide hair cutting services for some of the children and adults I work with. After nine years of experience, I found myself working with Mountainside ABA and I am now a Registered Behavior Technician. I fell in love with helping children thrive in the community, improving their behavior and growing academically and, I continue to have the same passion for my clients with Mountainside ABA. Kim received her undergraduate degree in Psychology from McDaniel College and her masters degree in Applied Behavior Analysis from the University of Maryland Baltimore County. She worked in the in the Pediatric Feeding Disorders Program at the Kennedy Krieger Institute from 2005-2007 before taking time off to focus on her family. But psychology has been her lifelong passion, and she is so excited to return to the field of ABA and to provide needed services to families within West Virginia. After earning her Bachelor’s degree in Health Sciences from James Madison University, Amber relocated to West Virginia to begin her career working with the special needs population. In addition to health sciences, she has studied exceptional education, communication sciences and disorders, and occupational therapy. She also has experience with grant writing and is working closely with families to help them receive alternate sources of funding for services. She has always been passionate about advocating for individuals with different abilities and promoting inclusion. Through compassionate care and ABA services, Amber is so excited to help individuals and their families reach their goals! Tina has 18+ years of experience working with individuals with special needs. She is a Registered Behavior Technician and has worked in a variety of settings including schools, homes, clinic, residential facilities, camps, and social skills groups. Tina’s passion in the field is teaching families how to support their children in being a participatory member of their family, school, and community. Tina, her husband, and their two teenage children love to spend their time outdoors hiking and at the lake, eating healthy, spoiling their animals, and giving back to their community. She plans to pursue her certification as a BCaBA this year. While pursuing her degree in Elementary Education, Chante Evans has loved working with children of all ages and abilities. After working specifically with children with autism at The Faison Center in Richmond, VA, Chante moved to Winchester with a new love for working with children with special needs. In addition to exploring her new surroundings, Chante loves to take walks, spend time with friends, and curl up with a good book! She hopes that she can be of helpful service to her clients and their families as they strive to meet new goals and milestones! 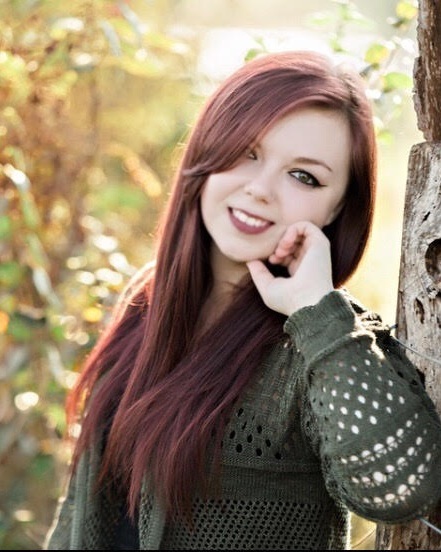 Melanie is a NJ native who is currently receiving her undergraduate degree from West Virginia University. She will be earning a Bachelors of Science in Psychology come May. She is also currently on track to obtain a BCaBA certification. With the university she volunteers in a Behavior Analysis research lab that is currently studying the effectiveness of contingency management interventions on physical activity. She has enjoyed her ABA coursework and looks forward to seeing the impact it can have in the real world. She is most excited to continue to learn about the field through experience. Autumn Shreve received her undergraduate degree in Psychology and Human Services at Davis & Elkins College, and is currently working towards becoming an RBT. She has always had a passion for helping others and being an advocate for those who are in need of support. She developed an interest in working with individuals with various types of disabilities and special needs following her practicum experience at West Virginia Division of Rehabilitation Services. Her main focus is making a difference for families and their children seeking ABA services. Hello! My name is Arianna and I am a junior at Shenandoah University. I am currently studying psychology with a minor in criminal justice. I have been working with kids with autism for over 2 years and I love it! My name is Cleopatra Zhonga. I was born and raised in New York and came to West Virginia for school. I received my undergraduate degree in Psychology at West Virginia University. I interned at the Neurodevelopmental Center as a behavioral therapist for children with autism for one year. I am currently working on becoming an RBT and plan to continue utilizing my skills to help children and their families! Miranda Mullen earned her Bachelors degree in Criminal Justice with a minor in Psychology from Fairmont State University. She is currently working towards becoming an RBT. She has experience working in I/DD Waiver and youth with behavioral disorders. She is very passionate about advocating and helping others! From her years as an underground safety inspector, to her position with a local physician’s office; Michelle brings years of office administration and customer service experience to the Mountainside ABA family. She works closely with our director in handling the daily office operations. She believes our staff has a positive and lasting impact on the the lives of our families. Michelle is here to help-feel free to contact her with your questions or concerns.